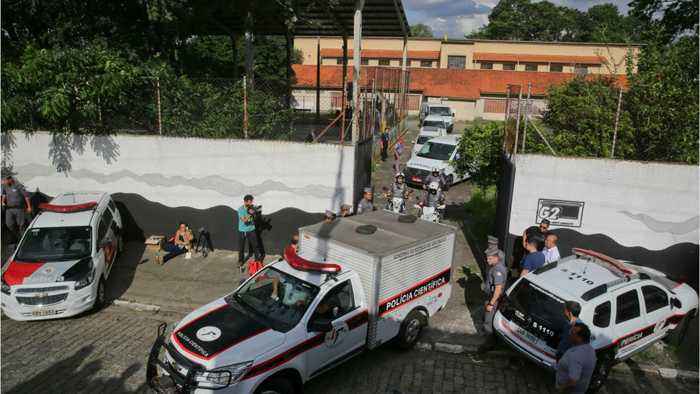 According to Reuters, two gunmen wearing face masks entered a Brazilian school on Wednesday and shot and killed at least five teenagers who were on their snack breaks. Before entering the Raul Brasil school in the Sao Paulo city of Suzano, the assailants shot and killed the owner of a car rental agency from which they had stolen a vehicle. The Sao Paulo police said that ten people, including the gunmen, were killed in total, and that the students who died were mostly 15 and 16 years old. 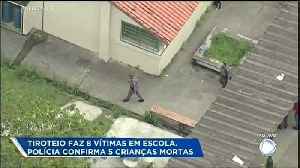 At least eight people were killed at a Brazilian elementary school where two young men were seen entering the building and firing weapons early on Wednesday, according to Sao Paulo police. Rough Cut..